Are you in the market for a new or preowned GMC Terrain in the Stillwater, Enid, Guthrie area? Come see us at Vance Chevy Buick GMC in Perry, Oklahoma. We are just a 30 minute drive and it is worth it to come see why we have been committed to serving our Oklahoma neighbors for over thirty years. 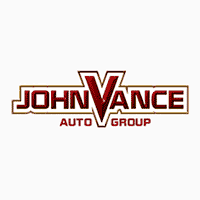 Vance Auto Group has nine full service dealerships to assist you. That also means we have a huge inventory of used vehicles of every type to choose from. How have we been in business so long? By keeping customer service as our top commitment. Make the quick drive to experience our Oklahoma friendliness for yourself. The GMC Terrain small SUV elevates exterior design to an art form and hints at the excellent engineering within. The interior surrounds you with contemporary touches and style that makes each drive a first class trip. It can easily transform from carrying passengers in luxury to transporting cargo. The seats fold down to give you full floor space to carry up to eight foot long items. In fact, the seats can be folded down in multiple ways to fit your varying needs. The Terrain is the only vehicle in its class to offer a standard turbocharged engine combined with a 9-speed transmission. The Terrain SUV may be small but it delivers truly unparalleled performance. Stay connected wherever you need to go with all the technology features available including Android Auto, Apple Car Paly, Built in Navigation, 4G LTE WiFi, Touch screen and GMC Mobile App. Safety is of optimum importance in the GMC Terrain. Check out these intuitive Driver Assistive Safety safety technologies such as the GM-exclusive Safety Alert Seat, Adaptive Cruise Control camera, Low Speed Automatic front braking, Lane Change Alert, Blind Spot alert, and Lane Departure warning. Come see a GMC Terrain at Vance Chevy Buick GMC in Perry, OK where we will treat you like neighbors.